Yes, yet another Android Market substitution, this time brought to you by the folks at Promaris. There’s already a few successful alternatives for the Android Market, that’s true, but this one, named Aproov, might be working just a bit better than some others. I’ve taken a brief look at it, and from what I have seen it looks good. Check out my review after the break. The first thing: It’s accessable from the web, not partially, like the Android Market, but completely. A bit like Appbrain but much more specific: Apps aren’t or example put in categories like ‘Utilities’, but in ‘File Management’, which makes it easy to find out which app has the highest rating in that category. If everything the press release promises is true, this might become really exciting. Pomaris has released a web-based app store known as Aproov (www.aproov.com ). Designed to be both a multi-lingual content management system and an app store, Aproov initially is focusing on the distribution of free Android apps. Aproov was designed to provide a solution to the large number of problems currently plaguing app stores that are proliferating the Internet. Developers can upload rich text content and describe their products in greater detail than is typically found in the Google Android Market. Additional multimedia support includes creating slideshows with captions and attaching multiple videos to demonstrate the product, provide user help or for advertising purposes. Developers can assign their app to multiple product categories, of which hundreds exist. This is useful in helping customers locate an app that has several unrelated features that would be better located in different categories. Aproov allows developers to indicate precisely which devices and which versions of the Android operating system their apps are compatible with. Users can then select their device and the apps that are listed are limited only to those that are compatible with the selected device. Selecting no device lists apps for all devices. Users have three methods for locating apps. The first method is to simply browse the current sub categories. Each time you click on a sub category, the apps just for that category are displayed. The second method is to bring up a popup dialog listing all categories, where the user can first expand each category and select any category to bring up the apps for that category. The third method is to use Google-like search criteria in the search box. A fourth method (although not generally used) is to navigate the catalog using the URL. The URLs in Aproov’s catalog match the directory structure of the product categories. This is useful if you wish to bookmark a category or a product, as the URLs are user-friendly. Even if product categories change or the developer assigns a product to a different category, a product will still be located when the product ID is specified. This is useful when search engines cache a product’s web page. When developers upload their apps, they can either upload a free app or a paid app (currently only free apps are being accepted). If a paid app is uploaded, the developer can optionally include a Trial or Lite version. A Trial version is typically an app limited to being used for a limited duration. A Lite version is generally the same thing as the paid version but with a reduced number of features. Whenever a paid version is uploaded, users will see one button to purchase the app and another to download the Trial or Lite version (if they are available). When customers rate an app, they have the ability to separate those things they like about the app from those things that they don’t like. This is useful for users to do a quick comparison between the things liked or not liked. It also helps developers to more easily identify those areas of their apps that need improvement. Every app in Aproov is also available in Google Product Search. This helps developers expose their apps to a much larger audience, especially considering that many customers often use just Google Product Search to locate apps without being aware of web-based app stores. For developers who can’t be bothered to upload their apps to Aproov, Aproov includes integration into the Google Android Market. 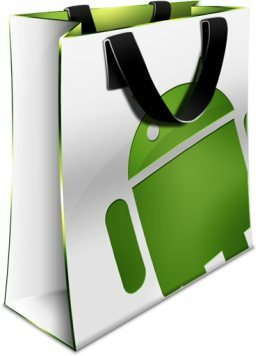 However, only a subset of apps are retrieved from the Google Android Market. Strict filtering is done on these apps to remove poorly performing apps, useless apps and adult material. Furthermore, Aproov attempts to identify the language of the content for apps imported from the Google Android Market. Currently, only apps with English content are imported. Users can choose to download apps to either the device that they are currently viewing Aproov’s main web site with or to their mobile device. Both methods require only the use of a browser. If the user is downloading to a device such as an Android-based Tablet or laptop, the app is downloaded immediately. If they want to download to their mobile device, after clicking on the download, they visit mobile.aproov.com, which is a web site optimized for mobile devices. There they will see all the apps that they have selected for downloading. The user merely selects which ones to download and their mobile browser will download it. The user must manually initiate the installation of the app after it has been downloaded. More and more mobile device manufacturers and carriers are no longer including the Google Android Market app on their devices. Instead, they are including an app that allows customers to access their own app store. For developers, this is headache, as it means that developers must upload their apps to many app stores. For customers, this poses a problem that when they switch from one manufacturer or carrier to another, the apps they downloaded from one store may no longer be available at a different store and even if they are, the user must first locate all of them. Aproov is independent of device manufacturers and carriers. When customers download their apps, their apps are always available. As long as the new device is compatible with the apps that they downloaded for a different device, they can easily reinstall all their apps again.